Quality is our top priority. Whether you want to spend your vacation with your family and friends or a romantic trip for two, with us you are in good hands. Through a wide range of fabulous villas in Cape Coral and Fort Myers and first-class service we will make your Florida vacation a memorable one. 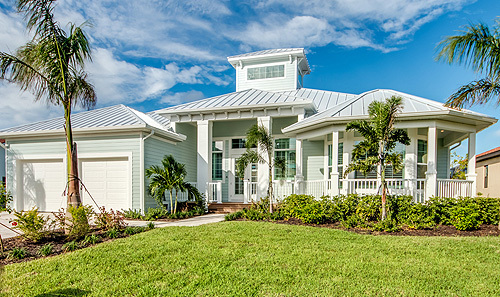 We offer a wide range of superior vacation homes in Cape Coral and Fort Myers. Start from your own boat dock to the fascinating island world at the doorstep of the city of Cape Coral. Enjoy your boat trip along the impressive Waterfront Villas of Cape Coral and anchor in the secluded coves of Sanibel, Captiva and Pine Island. 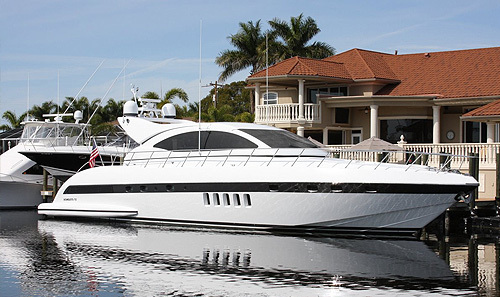 All boats are insured against liability including liability insurance for the driver. During your stay, we will remain at your disposal for any requests and questions you might have. The local property manager is also available at all times for you. At check-in you'll receive detailed instruction regarding your vacation home. On your departure day you will also be checked out. You always have the same contact partner - from booking to check-out. The exclusive 2-story villa "Rosegarden Estate" features 4 bedrooms and is nestled in a stunning location on an intersection canal in the upscale residential area "Rosegarden" in Southwest Cape Coral. The Tarpon Point Marina with excellent restaurants and shops is within walking distance (only a few minutes) - short boat trip to the Gulf of Mexico. The elegant Villa Silversands (Living area: 3,025 sqft) is located on Sands Boulevard, one of the best locations in Cape Coral. You can reach the river (sailboat access!) via the 200 foot wide canal by boat from our own boat dock (captains walk) in no time. An additional boat dock offers space for another boat up to 30 feet long. HIGH END Key West style home - Yacht Club Area, Direct Gulf Access, NO BRIDGES OR LOCKS. This gorgeous Key West style home with DIRECT gulf access in the heart of the desirable Yacht Club neighborhood is the perfect vacation home for you. The premium location is a boater's paradise with deep canal access and just minutes from the river.